Why Religion? : A Personal Story is a book Dr. Elaine Pagels thought she could never write. A historian of Early Christianity, she has authored eight previous books, the first being The Gnostic Gospels, which put her name on bestseller lists and earned her a “genius grant” from the MacArthur Foundation. But this book, which began as an examination of grief, strayed into a study of Satan, which morphed into something else: an outlet that led toward her own healing, not surprising considering her belief that “anything written with passion ‘academic’ or otherwise, inevitably engages whatever challenges we’re confronting” (p. 155). Why Religion? should be of interest to people who are ready to give up on religion, wonder if, or why, religion matters, or, due to changing life experiences, seek new pathways, processes, or interpretations to sustain or renew their spiritual and religious practice. The book may also serve as an introduction to Pagels’ work—and to the secret trove of the ancient Gnostics. 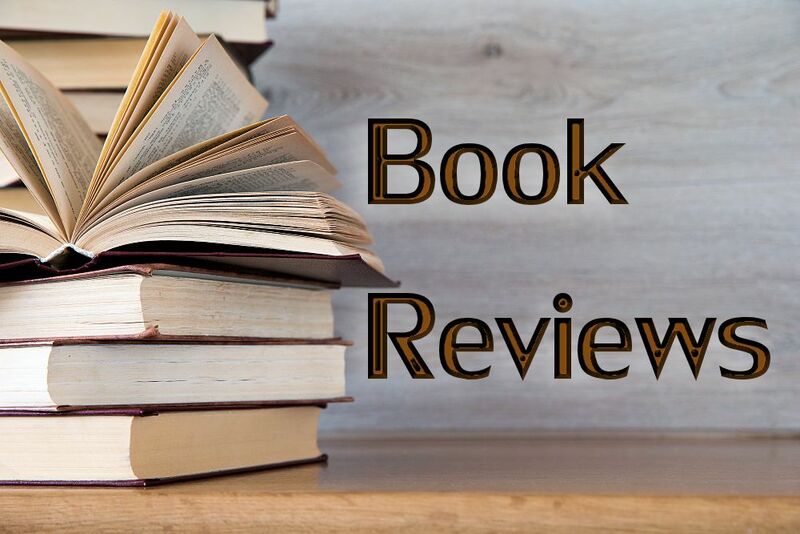 Pagels wove her personal story into the ancient stories of the Bible, non-Christian sources, and, particularly, the stories of the Gnostics (from, the Greek word gnosis, meaning knowledge, or understanding of the heart). She brought to the task her skills as a scholar, including the expertise she acquired while working with a group of scholars responsible for translating, editing, and publishing the gnostic writings. These writings, a trove of bound texts sealed in jars and hidden in a cave near Nag Hammadi, a city in Upper Egypt, were discovered in 1945. Dating of the original composition of each of the manuscripts is debated, but scholars agree that copies were circulating between the time when Jesus’ sojourn on this Earth ended and the time in which the New Testament was canonized and Christianity’s various creeds were invented. By the fourth century, Church fathers were calling for the destruction of the gnostic texts, and the people who chose to write or read them were branded heretics (from the Greek word hairesis, meaning choice). Even now, almost 2,000 years later, many theologians and Bible-believing Christians remain vehemently critical of the texts, and their criticism of Pagels’ writings follow suit. But Pagels is unfazed. She’s quite content to let the theologians, “who talk about God,” (p. iii) sort out their own issues. 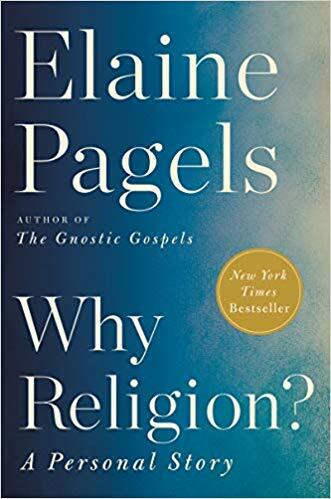 Pagels was born into a family that was, at best, lukewarm toward religion; she goes so far as to say her father “hated” religion (p. 3). But reading The Wizard of Oz as a child plunged her into a “terrifying and glorious” (p. 7) world that evoked what she could imagine only as a spiritual dimension. Forever after, the link between imagination and spirituality seems to have been indelibly written on her heart. Her first consequential religious experience occurred in her teens, when, in rebellion against her parents, she attended one of Billy Graham’s Crusades for Christ. By the time an altar call was issued, Pagels was walking “forward . . . with thousands of others to triumphal music, as the choir and the crowd roared approval, praising God for the souls being saved that day” (p. 2). It was “a living drama,” filled with “legions of angels and archangels, armies of demons, Jesus’ bloody sacrifice, [and] a divine someone who heard and understood.” (p. 18). For a time, she found community. Then she told her evangelical friends about a friend who died. “Was he born again?” She replied, “No—he was Jewish!” They said, “Then he’s in hell” (p. 15). Pagels left the church, but her fascination with religion remained ever on her mind. “Why religion, of all things?” a physicist named Heinz Pagels asked Elaine one night over dinner. “Why not something that has an impact in the real world?” Even as Elaine was asking herself the same questions, she wondered what it was about virtually invisible hadrons, bosons, and quarks that engaged him. The two scholars debated until she began to understand his fascination for investigating the natural world; he became intrigued with the secret gospels, and they “both began to see how even ancient traditions . . . do have impact, even now, in our world” (pp. 36–37). For instance, Pagels was among the first gnostic scholars to notice a preponderance of feminine language and images in the hidden texts, as opposed to New Testament sources, which tend to marginalize women and minimize their roles (p. 42). She writes, “Issues of sexuality and gender—or of any ideas that matter—are inextricably interwoven with how we live, what we choose, and how we set up a society” (p. 46). In other words, traditions have consequences. Elaine and Heinz married, and seven years later she gave birth to a son, Mark, who was born with a disease that would eventually prove fatal. Not long after his birth, the family adopted a daughter named Sarah; Mark died at six years of age. Another son, David, was adopted about a year later, in springtime, but in July of the same year, Heinz Pagels died in an unimaginably gruesome hiking accident on Colorado’s Pyramid Peak. A book review is hardly a place for expressing Pagels’ pain, but for anyone who has grieved over the death of a loved one, been emptied of expressions of hope for someone who is grieving, or believed they knew the exact and most appropriate words to offer a fellow human being who is grieving, these chapters, placed midway through the book, may prove to be instructive. Pagels herself had little patience with patent phrases; what calmed her emotional turbulence was meditation and contemplative prayer, often done among the Trappists: “The monks offered silent, unspoken support, never speaking to fill an awkward silence or saying things meant to sound hopeful” (p. 98). She was living a “life after death” (p. 137), but Pagels had two children to support and a professional life to recover. Returning to her work, she sought to understand the meaning ancient people derived from orthodox, gnostic, and secular texts, and how those sayings helped them survive. She wondered if those texts could help people in our own time. In subsequent chapters, her head-spinning search for clarification mirrors the “noisy cacophony swirling through” her (p. 155). Each new understanding builds rapidly on the one that came before it, and each question answered leads to a new question as she tries to make sense out of a world of sorrow. She came to realize that “meaning may not be something we find.” She writes, “the most we can hope is that we might be able to create meaning” (p. 104). Always, the meaning she creates seems solidly based on the evidence provided by her sources. She posits that what people imagine—whether believed or rejected—is enormously consequential, for good or for bad, and with unmatched generosity of spirit, she allows that even in what she considers some of traditional religion’s most negative interpretations, for example, “suffering and death are punishment for sin” (p. 101), aspects of “complex cultural traditions . . . may help people cope with reality; may even offer practical ways to confront it” (pp. 162–163). She established a relationship with the Church of Holy Rest in New York City, consulted Buddhist documents, and worked her sources, gnostic and otherwise. She wrestles with the devil (an entity she rejects, but an exercise that led to the publication of her book The Origin of Satan), and she speaks with the powerful feminine voice of Thunder (a reference to a gnostic poem titled Thunder, Complete Mind). She found she preferred the original ending of the Gospel of Mark (“They . . . fled from the tomb, for terror and amazement had seized them; and they said nothing to anyone, for they were afraid” Mark 16:8, NRSV) because it “sounded more like the world in which we live,” and it showed a first-century gospel writer, like many people today, facing the challenge of “how to hold on to hope when confronting what looks like disaster” (p. 171). In the gnostic Gospel of Truth, she encountered a meaning for suffering that spoke directly to her, and in the Acts of Peter and the Twelve Apostles, she encountered an image of Jesus, a “physician of souls,” who carried a “medicine chest” filled with a variety of treatments, which he used selectively, depending on each patient’s need and response (p. 207). Almost as a benediction, Pagels’ concluding remarks echo the words of an ancient Jewish prayer, and she acknowledges that, “sometimes hearts do heal, through what I can only call grace” (p. 211). Praise be to Godde! 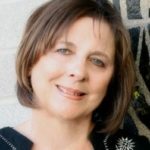 I am a retired librarian, who has been a member of EEWC-Christian Feminism Today since the 1980s. I frequently turn to a saying I pinned to my bulletin board, at eye level above my computer, a number of years ago: "The Savior said . . . , 'It is for this reason that I told you to find contentment at the level of the heart, and if you are discouraged, take heart in the presence of the Image of your true nature. '” This quote comes from Cynthia Bourgeault’s book, The Meaning of Mary Magdalene: Discovering the Woman at the Heart of Christianity (Boston: Shambhala, 2010, p. 46). Mary Magdalene’s gospel was not part of the Nag Hammadi collection. It was found almost half a century earlier in an antiquities market in Cairo, but it’s seems to come from the gnostic tradition. Reading this quote always instills me with a sense of gratitude and confidence.